Are you planning to replace your garage door opener or are you simply curious about the different options available in the market? When you have three options for comparison available, choosing the ideal one should be easy. The important thing is to outline your requirements clearly. Then you just have to decide which one of the three door operators is best qualified for those specific needs. 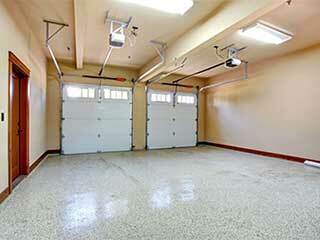 There is an overwhelmingly wide selection of garage door openers to choose from. There seem to be pros and cons to all of them, which can sometimes depend on where and why they are installed in the first place. So for those who are struggling to make the right choice, here is a handful of informational tidbits about the different kinds of openers out there. Knowing a little bit more might help you make the right choice that best suits your home. Let’s start with what is possibly the most common motor when it comes to residential setups: belt drive door openers. They operate by means of a rotating fabric belt and rollers to provide lift for moderately sized doors. Although quiet and smooth in their operation, they are not suitable for any kind of heavy duty application. For door owners expecting constant traffic, or those desiring a heavy set door, perhaps something with a little bit more strength and power would be better. But for the quiet home that needs a reliable level of security mixed in with non-intrusive silence, the belt drive model is perfect. One may value reliability and smooth, steady lifting and closing in their garage. If that is the case then opting for a screw drive opener is usually your best bet. Using a pivotal, rotating point to open doors, these devices are taking advantage of a technology that has been reliable to people since as far back as anyone can remember. They are perfect for lighter doors that are not very frequently used, are economical and perfect for quiet homes. For some homes, it is essential to invest in a system that can take a lot of strain. Chain drive garage openers are very hardy and can support a staggering amount of weight and frequent use. This makes them perfect for homes with exceptionally heavy doors or lots of constant traffic. However, they require a fair amount of maintenance, since as we’ve all been repeatedly told, a chain is only as strong as its weakest link. They are also not shy as far as energy consumption and noise output are concerned, but sometimes that’s not always that big a deal. As you can see, the opener you to decide to go for should very much depend on what kind of garage door you want to accommodate and what kind of conditions it will have to operate under. Hopefully, this quick guide gave you a slightly better idea of how to make the right choice. Be sure to contact our Garage Door Repair St. Paul team for any additional questions.